Students at Ivanhoe Girls’ Grammar School are donating their lunchtimes to help those in need. The Ivanhoe Girls’ Grammar School Philanthropy Club is a lunchtime group for students in years 7-12, dedicated to finding ways to assist others in the community. Members of Philanthropy Club Alex and Bridget explained that the activities the group do depend on the time of year and the interests of the members. 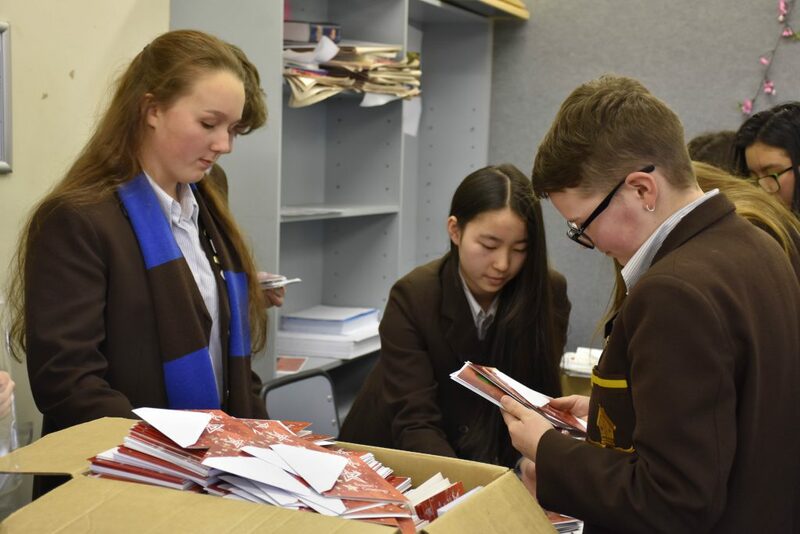 The students recently helped Anglicare Victoria by packing Christmas cards, which the organisation can then sell to raise funds for its activities. The Philanthropy Club was able to recruit extra helpers from around the school to assist in the huge effort. Alex and Bridget said that as well as helping those in need, they loved working together with students from all year levels on a common interest. Ivanhoe Girls’ Grammar School’s relationship with Anglicare is just one of many social service activities led by students at the school. In the Junior School, each year level holds an activity, such as a cake stall or walkathon, to raise funds or awareness for a cause. 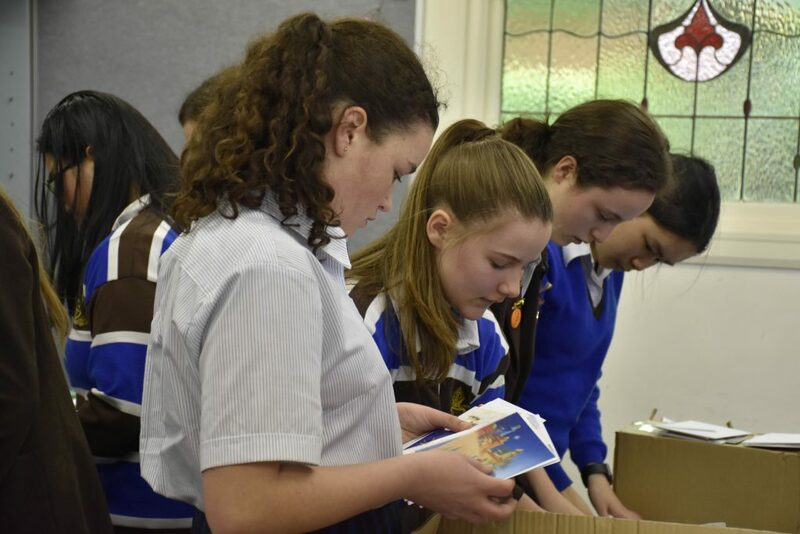 In the Senior School, volunteering activities, such as collecting for the Red Cross, and other lunchtime clubs such as the Amnesty International Club, give students the opportunity to help others and give back to their community. Alex and Bridget said that giving back to the local and international community was important because students the opportunity to help people who are less fortunate. Community Connections reports on the great community work of Independent school students and staff. If you would like to share your school’s community work, email ISV’s Shane Green with the details. You can also read previous Community Connection posts about Lauriston Girls’ School, Christ Church Grammar School, St Leonard’s College, Mansfield Steiner School, Al Siraat College, Kardinia International College, The Geelong College, St Catherine’s School, and Beaconhills College. Like this post? Please share using the buttons located on this page. You can also subscribe to The Parents’ Website and get regular updates straight to your inbox.